While the internet is great for staying connected with friends, looking up that new pizza joint’s menu, or watching hours of cute corgi videos, it can also cause some people with a bit of a problem when it comes to their history. One such person is Mario Costeja González, a man who took Google to court in 2014 after their search function kept his long-since-resolved financial troubles at the top of the list if anyone were to search his name. 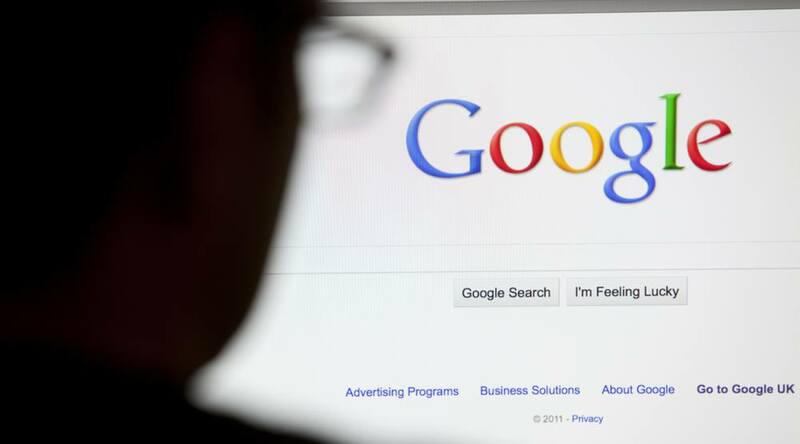 The court case concluded with the European Union’s “right to be forgotten,” which allows EU citizens the right to request for search engines to remove information about them if it has become has become outdated, inaccurate, or no longer relevant. Fast forward to 2019, and the Angus Reid Institute has released the results of a recent study which found that the majority of Canadian respondents were in favour of similar rights here at home. Between November 21 and 26, the Institute conducted an online survey with a randomized sample of 1,500 Canadians, asking them questions about internet searches, personal history, and the EU’s right to be forgotten. Another 23% simply responded that they were not sure which side they fell on. 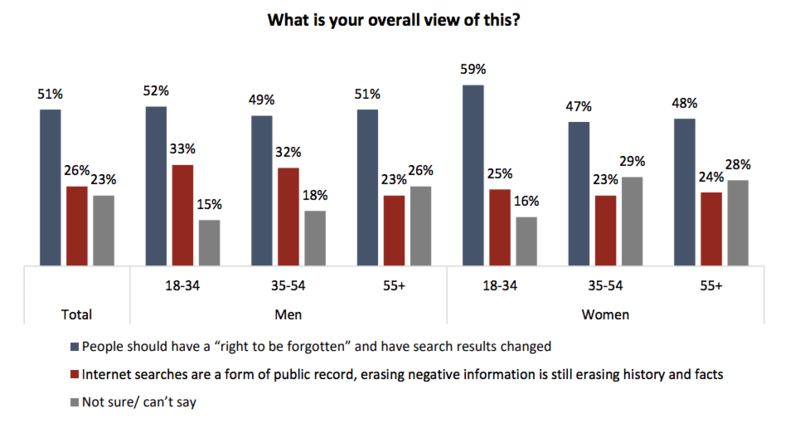 Young women were the largest proponent of the right to be forgotten in Canada, with 59% of women aged 18 to 34 being on board with adopting something similar to the EU’s 2014 decision. It also found that 52% of men in the same age bracket held the same belief, though a large portion (33%) of that same demographic was also the most against it. The call for allowing the removal of negative personal history from search engines increased with education, according to the study, going up a full 10% between those who held a high school diploma or less, and those who had attended university. It should be noted, however, that the percentage of people against the proposition also rose with levels of education, though only by 1%. A significant difference was found in the “Not sure/Can’t say” category, which dropped by 10%. When the respondents were asked if they would support Canada adopting a “right to be forgotten” law, a full 56% stated that they either support or strongly support the idea. Only 8% strongly opposed going through with adopting a law like the one seen in the EU, though another 16% stated that they were in opposition to it. The remaining 21% stated that they were unsure/couldn’t say.